Description: This new 90,000 sf building includes classroom areas, a computer room, office space, an Informatics Common, and Digitorium (digital auditorium). The interior of the Digitorium is flexible, equipped with A/V and related technology to watch, interact with, and create information and knowledge in a comprehensive learning environment. 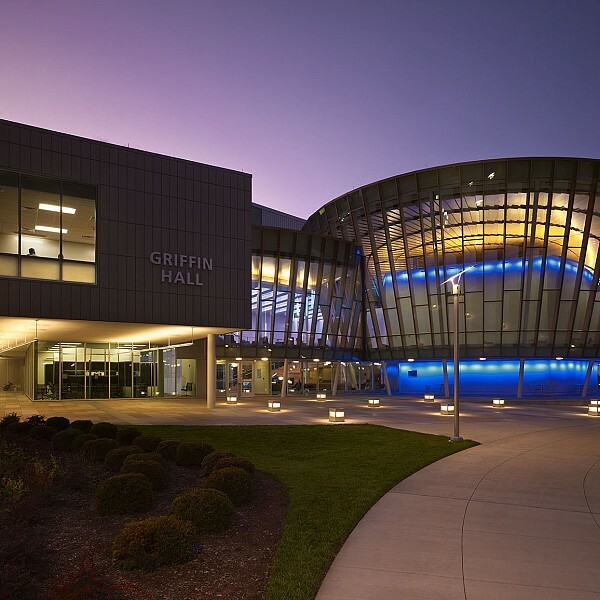 Cosentini provided HVAC, electrical and LEED design and consultation services.